When you decided to protect your data, you must have come across many different products and certificates. We can safely assume that two of them are SSL certificates and Code Signing Certificates which made you land on this article! If you are getting confused over which certificate is right for you, you are not alone. Anybody can get confused because they both are X.509 certificates that use Public Key Infrastructure and require certifying authorities to verify the identity of the applicant. They both show a security warning to the end users if SSL/code signing is not installed. So, in this article, you will learn the differences between these two certificates: functionalities, types, certificate authorities, pricing and renewal. Before jumping into the differences, let’s cover the basics about these two certificates. It ensures that the piece of software users are downloading hasn’t been tampered with since the developer completed and signed the final version of the code. 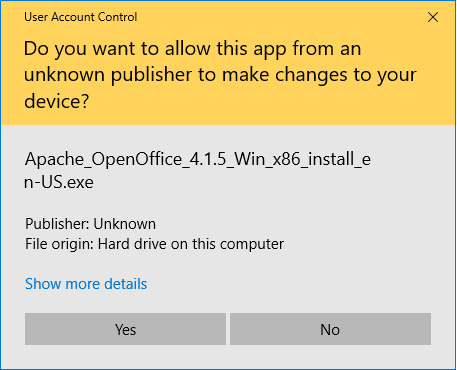 Most operating systems won’t let you download an unsigned piece of software without making you click through a warning that clearly shows that the software is issued by an unknown source. People are also becoming cautious these days. If they see any such warnings, they abandon downloading the piece of software. If you earn your living by selling software, whether you are a big software company or a freelancer software developer, the security warnings are the easiest way to kill downloads and lose your hard earned users. Step 1: Code signing certificates work with two main security layers/components. 1)Public key/private key 2) Hashing. Step 2: After finishing a piece of software, the software developer will use the Private Key to apply a digital signature. Step 3: When this process is completed, the digital signature is then hashed along with the rest of code. Hashing is like putting a seal on the entire code. Step 4: When a user tries to download the software, his/her system retakes this two-step system. First, it verifies the digital signature. Step 5: If the signature verifies, the system would again generate a hash value for the software. The two hashes (generated at the time of code signing by software publisher and created by the system) are supposed to be the same. Step 6: If the two hashes match, it indicates that the seal is not broken. It means that the software is in the same condition as it was last developed and signed by the software developer. It has not been tampered with and no manipulations were made by hackers in-between. SSL (Secure Socket Layer) certificates secure websites. An SSL certificate does two main things. It encrypts the data transferred between two systems (browser and server). The encrypted data can only be decrypted by the intended end user. No third party (read hackers) can interpret it from the middle of the transaction. It verifies the identity of the website owner. In Organization Validation and Extended Validation SSL certificates, the certificate authority also verifies the physical address, phone number, government registration details, etc. to verify the identity of the business. ‘Not Secure’ messages like this can make a website visitor suspicious while entering any sensitive information such as password, SSN, bank details, credit card details etc. Imagine how much damage such a ‘Not Secure’ sign can cause if your website is an eCommerce website or provides online services or needs paid subscribers! Even Google punishes websites without an SSL certificate by giving them lower rank. An SSL certificate activates HTTPS:// and a padlock sign before a domain name in address bar. With an EV SSL certificate, the organization’s name also appears in the address bar. Paid SSL certificates come with a warranty. In unlikely event of encryption failure, it is the certificate authority’s responsibility to pay for damages (up to the warranty amount) to the hacking victim. What is the Difference Between Code Signing Certificates and SSL Certificates? A code signing certificate is for downloadable software, scrips, & executables. An SSL certificate is for websites. If you are a software developer/publisher, you need a code signing certificate. If you own a website, you need an SSL certificate. If you are a software publisher that also owns a website, you need both! You can not use a code signing certificate to secure a website and vice versa. SSL certificates cost between $7/year and $11,000/year. Code signing certificates cost between $70/year and $330/year. Code signing certificates do not come with warranty while paid SSL certificates do offer $5,000 to $1.75 million warranties. SSL certificates encrypt the data in transit between two systems. Code signing certificates do not encrypt the software. Rather, a code signing certificate hashes the executable and attaches the digital signature of the software publisher. Hashing is like putting a seal on the entire code so it can’t be changed without being detected. 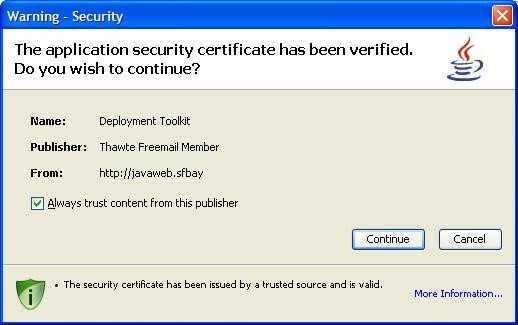 When these certificates expire, the user will start seeing security warnings until the certificates are renewed. The exception is that code signing certificates offer a timestamping feature. After completing a piece of software, when the developer code signs it, s/he can add a timestamp so the digital signature will stay good forever, even after the certificate expires. A timestamp provides the client proof that the software was signed while the certificate was still valid. Without a timestamp the digital signature dies with the certificate expiration. After Expiration of certificate The website will lose encryption and the browser will start showing ‘not secure’ sign in address bar, until the certificate is renewed. Encryption Does not encrypt the software. Rather, it Hashes the codes and digital signature of The software publisher. Hashing is like putting a seal on the entire code. After Expiration of certificate The system will show the same security warning at the time of downloading as it does for any non-code signed software, until the certificate is renewed. This entry was posted in Code Signing Certificates, SSL Certificates by seouser. Bookmark the permalink.